not possible to choose the slowest and most expensive electric generation technology to deploy, as well as the dirtiest and riskiest. Nuclear power is disqualified from the race of the climatic fight. Likening nuclear power to that of a living organism, however, Mycle Schneider, the lead author of the World Nuclear Industry Status Report, told World Finance the industry was like a “dying species” due to the obvious reduction in new nuclear project launches in recent years. This is seen clearly in the International Energy Agency’s (IEA) annual World Energy Investment report, updated in July, which found that nuclear investment is falling fast. Once thought of as the primary answer to the globe’s renewable energy requirements, nuclear energy is now viewed unfavourably in comparison to solar and wind alternatives. But even while confidence in the industry erodes, strident nuclear advocates still insist the technology is a fundamental ingredient in the global energy mix, providing vital zero-emission, base-load power. The nuclear industry has been shaped in many ways by its biggest disasters: the catastrophic Chernobyl tragedy in Ukraine is considered to be the worst nuclear accident in history, in terms of both cost and casualties. In 1986, four nuclear reactors at the power station exploded, spewing radioactive material into the atmosphere. Decades later, there is still no accurate measure of how many people have indirectly died from the exposure. Then, in 2011, a 9.0-magnitude earthquake off the coast of Japan triggered a 46-foot tsunami that hit the Fukushima nuclear plant. The event led to the leakage of radioactive materials, and the plant was shut down. Six years later, the total official cost estimate for the catastrophe has reached $200bn, though it could rise to as much as $630bn according to independent estimates. These incidents have cast a shadow over the sector. In the years since, new nuclear designs have aimed to improve safety features while maintaining low costs. But despite this, the frequency with which cost overruns and delays occur means nuclear projects are still often deemed too risky for private investors. Construction delays are a big factor behind rising costs. According to the 2017 World Nuclear Industry Status Report, 37 of the 53 reactors under construction in mid-2017 were behind schedule. Eight of those projects have been in progress for a decade or more, and three of those have been under construction for more than 30 years. As recently as July, Électricité de France’s (EDF’s) flagship nuclear project in Flamanville, which is already seven years behind schedule, was set back by another year over piping weld issues. The ‘quality deviations’ found in 33 welds at the European Pressurised Reactor (EPR) would also cause costs to swell by a further €400m ($465m). The cost of the project now sits at a grand total of €10.9bn ($12.7bn), more than three times the original budget. Flamanville is one of three new EPRs currently being built in Western Europe. The region’s first new nuclear power station in 15 years, Finland’s Olkiluoto 3, was supposed to be completed in 2009. After numerous delays, it is now expected to be finished in May 2019. Meanwhile, the 3.2GW Hinkley Point C reactor in Somerset is expected to become the UK’s first new nuclear power plant in more than 20 years. It is already expected to be around £1.5bn ($2bn) over budget and more than a year behind schedule. Yves Desbazeille, Director General of FORATOM, the trade organisation for Europe’s nuclear power producers, told World Finance that delays in major construction projects “are relatively common and difficult to predict”, whether in the nuclear sector or elsewhere. “Nevertheless, we believe that lessons learned from the projects which are currently being developed in Europe will allow us to avoid these risks in the future,” Desbazeille added. The economics of renewable power generation has transformed in the past five years, with costs plummeting to record lows due to the technology’s exceptional ‘learning rate’. A learning rate is the drop in the initial cost of construction as technology improves over time. The quick decline in the cost of renewables took the industry by “total surprise”, Schneider said. For power generated by a solar photovoltaic (PV) system, that means real prices have plunged by 90 percent between 2009 and 2016. The real price of wind power, meanwhile, fell by 50 percent. At the same time, nuclear power has presented a negative learning rate: despite technological advances and years of study, the cost of nuclear power tends to increase due to the high price of taking care of ageing reactors. Politicians can’t pretend new nuclear projects are a viable economic option, Schneider said: “There is no market anymore in the world where new-build [nuclear reactors are] economic under market economy terms. Renewable energy is not only threatening new nuclear projects; even existing nuclear power, which costs an average of $35.50 per MWh, was higher than recent renewable energy auctions in a number of countries, where prices have fallen to all-time lows of below $30 per MWh. But Desbazeille said the issue of comparing costs was more complex. Citing a recent report by the OECD’s Nuclear Energy Agency titled The Full Costs of Electricity Provision, he said the price of electricity in today’s market does not include all the costs that must be taken into account when comparing different energy sources, such as grid-level costs, land-use charges, security of energy and electricity supply, or employment generated in the electricity sector. Whatever the cost comparison, it appears adding solar and wind power to the grid is more common at the moment. In 2016, global nuclear capacity increased by just 9GW, while solar capacity jumped by 75GW and wind notched a 55GW increase. Comparing the data since 2000 presents an even starker image. In the 16 years measured by the World Nuclear Industry Status Report, countries around the world added 451GW of wind energy and 301GW of solar energy to power grids, dwarfing an increase of just 36GW for nuclear. Although the 126 nuclear reactors operating in 14 EU member states generate more than a quarter of all electricity in the EU, and nuclear sources still accounted for close to 30 percent of all electricity production in the eurozone as recently as 2015 (see Fig 1), many governments are beginning to turn their backs on nuclear power. In March, Belgium agreed to shut down the country’s seven nuclear reactors by 2025, and Germany has been working since 2011 to phase out its nuclear reactors by 2022. In a referendum in 2017, Switzerland also voted to gradually eliminate its nuclear reactors. Trump’s Latest China Salvo Could Hurt U.S. Nuke Industry, Administration says Beijing is diverting U.S. nuclear technology for military use. 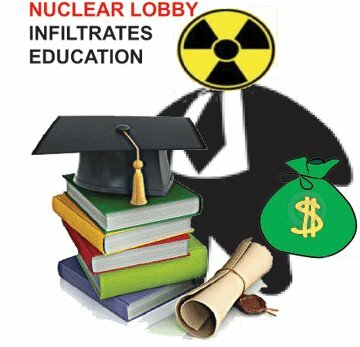 BY KEITH JOHNSON, FP.COM OCTOBER 12, 2018, The Trump administration is increasing its economic pressure on China by restricting U.S. nuclear power exports, a move that could end up hurting an American industry desperate to compete in the world’s fastest-growing market for nuclear energy. By a wide margin, China is currently the global leader in the construction of new nuclear plants. In fact, for three years in a row, global electricity generation from nuclear power would have decreased if China were removed from the picture. By 2030, the IEA expects the country to overtake the US as the world’s top generator of nuclear power. Of the 10 reactors that started up globally in 2016, half were located in China. Meanwhile, nearly 40 percent of the total reactors currently in construction are Chinese. However, China has not launched a new construction of a commercial reactor since December 2016. The country had planned for 58GW of total nuclear capacity to be in place by 2020, but having failed to get 30GW of new plants under construction by 2018, China’s lead in the field of nuclear power may be slipping. What’s more, even in this hub of nuclear activity, renewable generation is moving even faster. As of July 2017, China had 37 operating nuclear reactors with a total net capacity of around 32GW. In 2017, however, the country added a whopping 53GW of solar power. One often-cited glimmer of hope for the nuclear industry is in small modular reactors (SMRs). These shrunken-down nuclear reactors generate electrical output of between 50MW and 300MW on average, compared with the generation of 1,000MW or more from a conventional reactor, but it is unlikely they will be commercially available before 2030. Proponents say SMRs will be cheaper and safer than conventional nuclear plants, and will be capable of competing with solar and wind power. 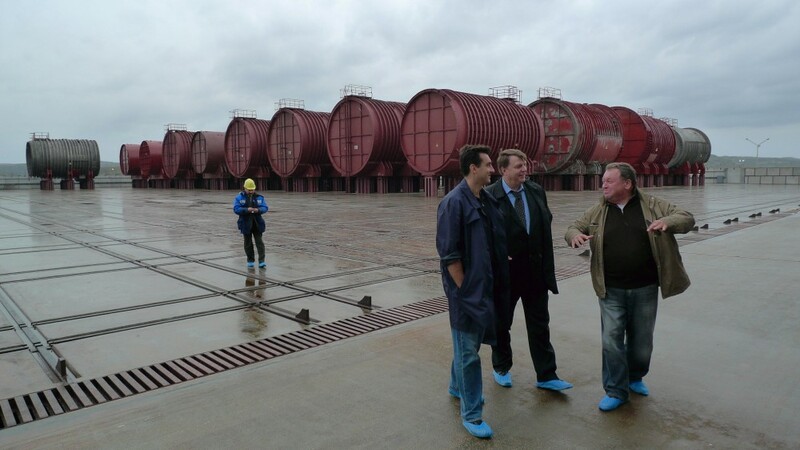 Desbazeille said SMRs were a “game changer” that could put Europe back at the forefront of nuclear technology……. A number of companies continue to work on new designs, however. US firm NuScale Power plans to develop an SMR to re-establish the country’s leadership in nuclear technology. The design is currently under review for approval by US regulators. While NuScale is seen as one of the firms closest to commercialisation, it may be too late by the time the arduous process of securing approvals is completed. Although SMRs have been talked about for decades, the progress made so far has been tiny. New technologies in the nuclear sector take a huge amount of time to develop – just look at the struggle to build EPRs in Europe. Plus, opting for a small design cuts out the economies of scale, or the cost advantages that come about due to increasing the size of a project. This is something nuclear projects often rely on. A report by researchers at Harvard University, Carnegie Mellon University and the University of California, San Diego concluded that in the absence of a “dramatic change in the [US] policy environment”, a convincing case for a domestic market for SMRs is difficult to make. Much of the nuclear debate is powered by opinions and estimates, but looking at the hard data, it’s strikingly clear that the industry is in a slow and inevitable decline. China’s plans to become a nuclear powerhouse have been overshadowed by its huge investments in renewable energy – in fact, the number of new construction starts (see Fig 2) has fallen around the world as stubbornly high costs and complex designs make new nuclear a hard sell. America’s mid-term elections: environment important in Florida, Washington, California, Montana, Alaska, Nevada, Arizona….. Climate Change October 12, 2018 – by Tara Lohan Environmental issues such as polluted drinking water in Michigan and harmful algal blooms in Florida could influence which candidates voters will support in this November’s midterm election, says Holly Burke, communications coordinator of the League of Conservation Voters. That test was one of a number conducted in the 1950s and ’60s, not by the Australian government, but by its former colonial master, the UK. Today, 65 years after the Totem I test, the effects are still being felt in South Australia and beyond. Australia was not the UK’s first choice of nuclear testing site. British scientists had been intimately involved in the Manhattan Project during World War II, and fully expected to be able to follow the US in testing their own nuclear weapon on American soil. However, after it emerged Soviet spies had infiltrated the US atomic program, Washington passed the McMahon Act, which strictly limited the sharing of nuclear information with other countries and sent London looking for new locations to conduct its first test. “Ultimately, they settled on Australia, which had many benefits,” said Elizabeth Tynan, author of “Atomic Thunder: The Maralinga story,” a book about the tests. These includes a sympathetic, compliant government under the recently elected Anglophile Prime Minister Robert Menzies, and wide open spaces in which to carry out the detonations themselves. According to a later Australian Royal Commission investigation, Menzies “immediately agreed to the proposal,” without consulting any of his cabinet colleagues or the Australian parliament. Indeed, until weeks before the first test was carried out, only three government ministers knew about it. Menzies’ enthusiasm for the British bomb “wasn’t all sycophantism, it wasn’t all sucking up to his colonial masters,” said Tynan, though this was definitely a factor. The Australian leader also saw in the atomic age an advantage for his country, which was one of the few to have large stocks of uranium, a previously largely unwanted material. The UK’s first atomic bomb was detonated in the waters off the Montebello Islands, a small archipelago in north western Australia, in the early hours of October 3, 1952, officially making London the third member of the nuclear club, after the US and the Soviet Union. While the Montebello Islands were used for the first test, British planners were never totally happy with the location, and even before the bomb was set off they began looking for a site on the Australian mainland where they could be granted greater secrecy and autonomy. They settled on a location in the Great Victoria Desert, about 480 kilometers (300 miles) from the nearest town, Woomera, which they named Emu Field. Plans were soon set in motion for a second test, and on October 15, 1953, the first of the Totem devices was detonated. Unlike the Montebello test, which went off largely as planned, the 9.1 kiloton Totem I sent a cloud of debris and smoke some 15,000 feet (4,500 meters) into the air, spreading fallout far higher and farther than originally expected. The Royal Commission later found the test was carried out in inappropriate wind conditions and without proper consideration for people living nearby, examples of the often staggering lack of care taken by British officials overseeing the nuclear program, who frequently ignored or did not bother to seek out vital information about the potential effects of their tests on the host country. While some concern was paid to their safety during the tests, it was often cursory at best. A single “native patrol officer” given the thankless task of having to try and inform Indigenous residents of the potential dangers had a 100,000 square kilometer (38,610 square mile) region to cover. Nor did the British much seem to care. One prominent member of the testing team, Sir Ernest Titterton, later said that if Indigenous people had a problem with the government, they should vote it out, ignoring that Indigenous Australians did not have full political rights until 1967. This lack of concern is likely what led to the situation at Walatinna. Around 40 people were in the camp when the Totem I blast sent clouds of radiated material miles into the sky. “It rumbled, the ground shook, it was frightening,” Lalli Lennon told investigators. Some time later, a large black cloud passed low over the settlement. Her husband Stan described it as “sort of hazy, like a fog or something.” Lalli and her children developed fevers, headaches, vomiting and diarrhea, and two of them suffered rashes and sore eyes from the smoke. But just as they had paid little attention to the wellbeing of Indigenous people prior to the test, the British and Australian authorities did not concern themselves with such matters afterwards. This was reflected by and large by Australian public opinion, which Tynan said was initially “quite jubilant” about the tests, and remained broadly supportive until the 1970s and ’80s, when a host of revelations about the British nuclear program exposed its lackluster safety procedures — even by the standards of the time — and the disdain of those overseeing it for Australian democratic oversight. This shift began when an Australian defense ministry report was leaked to the press, warning that large amounts of plutonium left at Maralinga could potentially be a target of terrorists. This ran contrary to a 1968 report prepared by British official Noah Pearce which assured the Australian government the plutonium had been properly buried and did not present a significant risk. When Canberra finally carried out its own survey of the site, scientists were shocked by what they found. The Royal Commission report said later that there were between “25,000 and 50,000 plutonium- contaminated fragments in the (Maralinga) area, although the number might need to be doubled if missed and buried fragments were included.” Emu Field and the Montebello Islands were also found to be more dangerous than expected. The Royal Commission hearings marked the end to any lingering approval of the tests among the Australian public, exposing fully the ongoing harm done to the local environment, Indigenous people, and the soldiers who worked on the tests. While many disorders are difficult to link directly to the nuclear tests, veterans of the program have complained of numerous cancers, autoimmune diseases, and other ailments — including among their children — which they put down to their lack of protective clothing and other precautions at the time. In 1993, the British agreed to pay the Australian government and the traditional owners of the Maralinga lands around 46 million AUD ($30 million). The Australian authorities also paid Indigenous Maralinga communities a settlement of 13.5 million AUD ($9 million). Today, she said she often meets young Australians who are unaware of the tests, and even many people who were alive at the time of the Royal Commission who only have a hazy idea of the issues. “It was one of those things that, because it was not really written into the history books … just dropped off the radar,” she said, even as veterans and Indigenous people affected by the tests continue to suffer health repercussions and shortened lifespans because of their exposure to radiation. “He will be revered for rising from personal tragedy to serve his community and to lead his people to ensure that they were recognized and their wrongs addressed,” Turnbull added. But as Tynan and others have pointed out, those wrongs have not been fully addressed. Health problems stemming from the tests continue for those still living, and while the veracity of Lester and other victims’ stories has been acknowledged, what exactly happened to them remains unclear, the details of the nuclear test still kept top secret. The major-party candidates for Idaho governor and attorney general agree that a federal proposal to send nuclear waste from Washington to Idaho for treatment isn’t realistic, especially considering existing cleanup and shipment delays at the Idaho National Laboratory’s desert site. In interviews, the candidates weighed in on several key nuclear waste and research issues related to the U.S. Department of Energy and INL, including the controversial proposal to move 7,000 cubic meters of transuranic nuclear waste to a specialized eastern Idaho facility for treatment. A recent poll found a majority of Idahoans favor accepting the waste to keep the facility going. “My intent is to not take in any more nuclear waste until we are able to properly manage what we have already, and are able to ship [that waste] outside our state,” said Jordan, a former state representative. Idaho politicians have for decades grappled with nuclear waste issues — how to balance pushing the federal government to clean up the toxic mess at the INL site while also maintaining a healthy research laboratory in the state. That challenge will continue for the next governor and attorney general, who will face a DOE out of compliance on several of its cleanup commitments under the 1995 Settlement Agreement, the document regulating federal radioactive waste cleanup in the Gem State. They may also find themselves managing a renewed push to change or renegotiate the landmark cleanup agreement — a possibility that has nuclear watchdog group Snake River Alliance concerned — as well as plans to build a new type of nuclear reactor on the INL site. Former Gov. Phil Batt, a Republican who negotiated the waste deal with federal officials, said the state’s next leader must be ready to learn about several complicated nuclear issues, and realize the federal government can be difficult to deal with. He added that no new waste should be accepted until DOE has met its current obligations to Idaho. “I think we need to keep [the pressure] on them,” he said of the agency. As co-chairman of the state’s Leadership in Nuclear Energy Commission, Little said he’s studied the federal proposal to bring waste into the state for treatment. “I just don’t believe it’s going to happen,” he said. The idea is to send Cold War-era waste from the Hanford Site in Washington, and possibly other federal facilities, to eastern Idaho for treatment and repackaging. From there, the waste would be sent on for disposal at a New Mexico facility called the Waste Isolation Pilot Plant, or WIPP……. Anglesey council fact-finding trip to Japan ahead of nuclear plans for island called into question, North Wales Chronicle By Gareth Wyn Williams @LDRMonGwynedd, 4th October, Local democracy reporter A TRIP to Japan by a delegation from Anglesey council ahead of a planned nuclear plant on the island has been called into question by opposition councillors. On Saturday, economic development portfolio holder Carwyn Jones and head of regulation and economic development Dylan Williams will form part of a Welsh delegation heading to Japan. The council says the five-day visit will serve as a key opportunity to improve knowledge, understanding and strengthen working relationships with Horizon Nuclear Power, the developer and operator of Anglesey’s proposed Wylfa Newydd development, and its owners Hitachi. But, at a time when the authority is facing cuts of £9.34m over the next three years, the leader of the opposition has called into question the wisdom of spending taxpayers’ money on such a venture. According to the authority, who have not revealed the cost of the trip, it will mostly come out of the Economic Development service budget, while flights were booked at the cheapest available rates (economy class), with Horizon covering the accommodation costs. Cllr Bryan Owen, who leads the Anibynnwyr Mon opposition group, said: “I question the wisom of organising a trip like this when all ratepayers are seeing is schools being closed and services being cut due to austerity. The delegation, which includes Welsh Government representatives, was invited by Horizon Nuclear Power and Hitachi. The itinerary will include tours of key nuclear manufacturing facilities, as well as a visit to an Advanced Boiling Water Reactor site to see the same kind of technology that will be constructed at Wylfa Newydd……..